Maungawhakamana is a prominent peak at the southern end of the Rotoma Ranges in the Eastern Bay of Plenty. Visible from much of the Rangitaiki plains area, it forms the third peak in a trio comprised of Putauaki, Tarawera and Maungawhakamana. 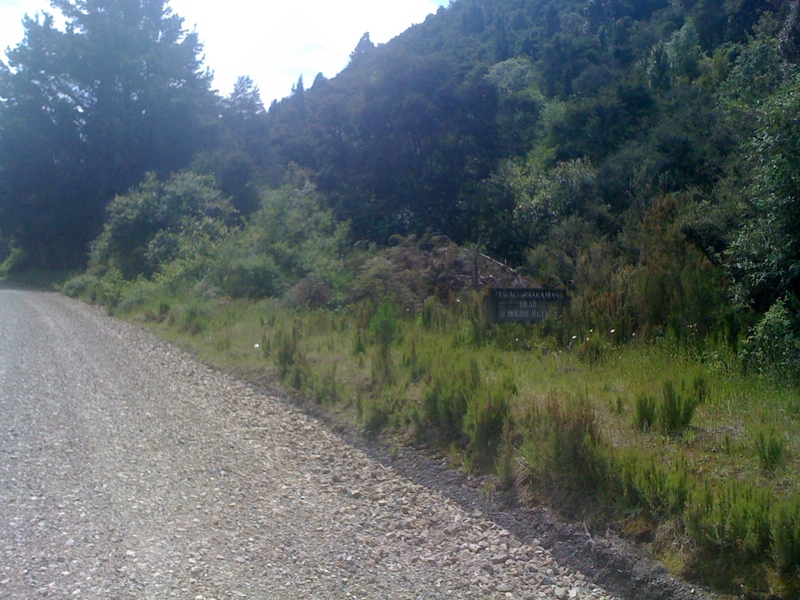 The trailhead is reached via a 15km drive on a good quality gravel Rd from Kawerau. 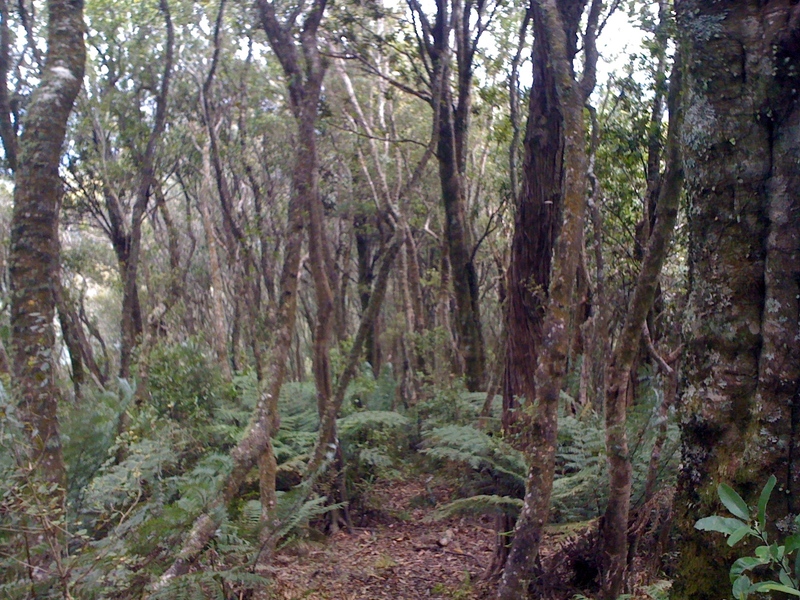 Enter the forest at the Waterhouse St Bridge, Turn left over the hill then right onto Tarawera Rd. 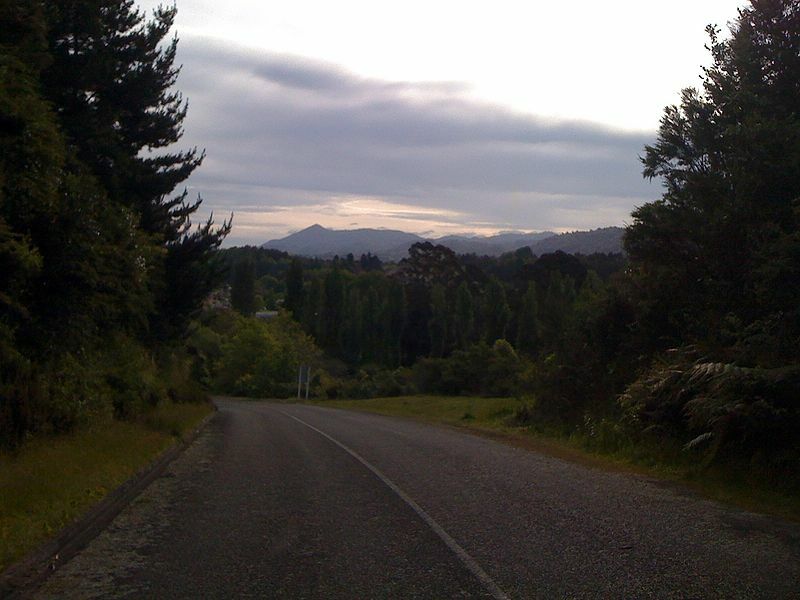 The trailhead is around 14km further on on your right, about 1km past the turnoff to Lake Tarawera. A permit is required to use this road (mostly used to access Tarawera falls). This can be obtained from the Kawerau information centre for $5. From the trailhead head into the scrub and find the start of the track (it’s a bit overgrown). Once you find it the route is easy enough to follow, it pretty much heads straight up the ridge to the summit. The markers are a little faint at times but adequate. It’s a constant steep climb but there’s no scrambling or hazards of any real note. 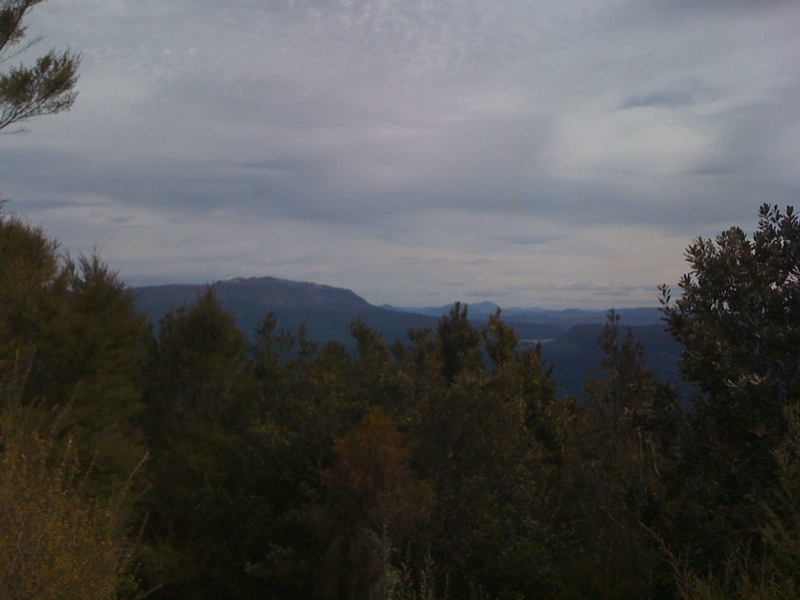 From the summit you can continue onwards onto Tunnecliffe’s track which emerges eventually on SH30 above Lake Rotoma. This is a much longer walk though!